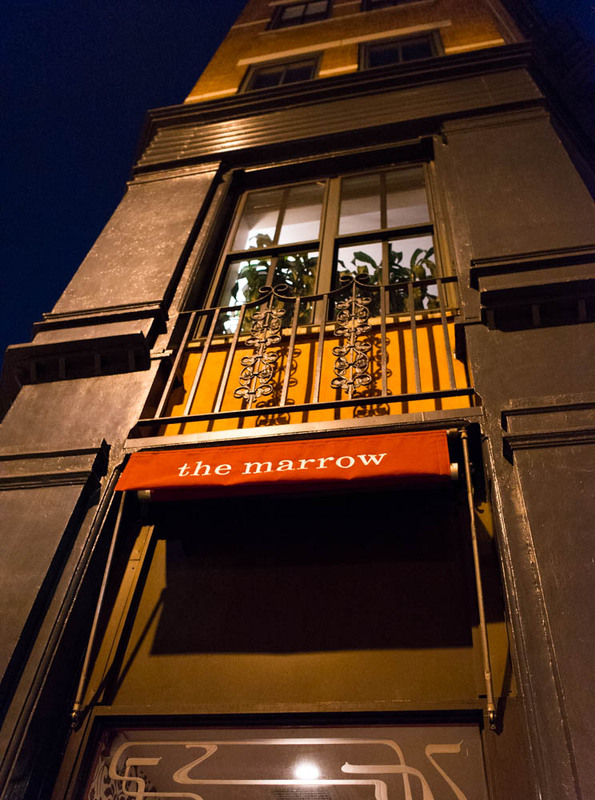 Early Friday night was a perfect time to pop by The Marrow, a cozy little spot tucked away on a quiet part of West Village on the corner of Bank and Greenwich. While the booths might have been reserved long ago, the granite topped bar is first come first serve. It struck that perfect comfortable and cozy vibe just begging for us to perch ourselves at the corner to enjoy our meal, served by a friendly and attentive bartender. 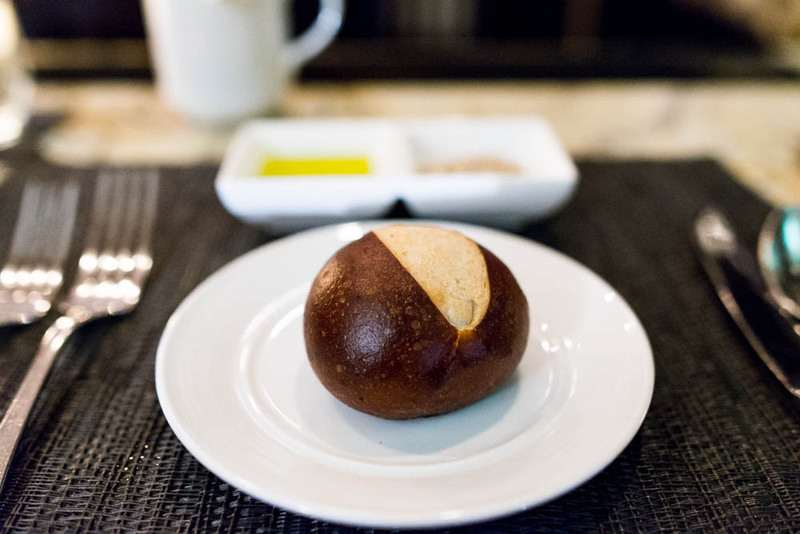 Dinners here kick off with a warm pretzel roll. Pillowy soft, no need for butter or olive oil. Perhaps just a smear of grainy mustard will do. There are a lot of delicious options on the German and Italian menu. 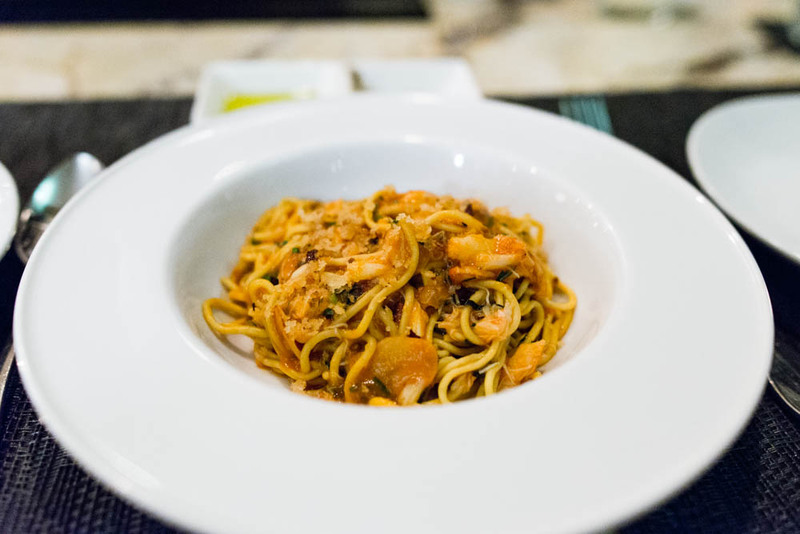 We started off the meal with a simple crab spaghetti with spicy tomato sauce. Finished off with bread crumbs and basil, this could easily compete for one of the best bowls of pasta in the city. 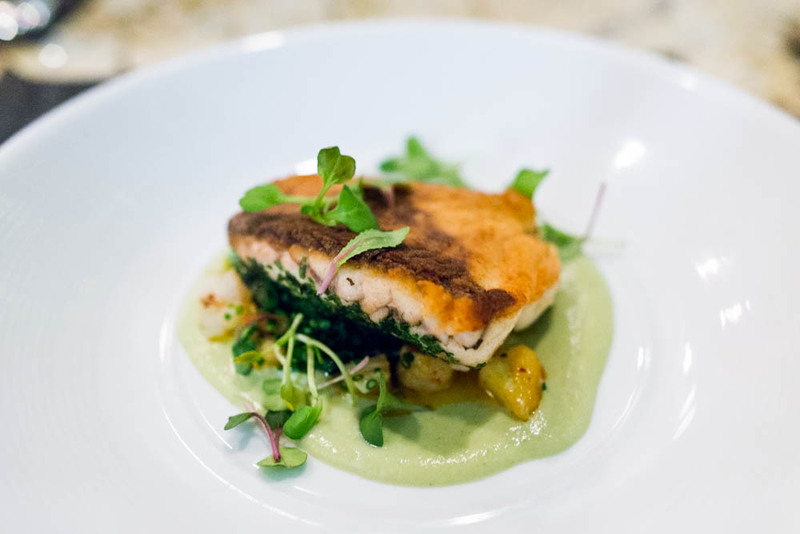 The special fish of the night was a seared local white fish served on top of cauliflower puree. Perfectly executed, this was definitely one of the lighter dishes from the entree section. 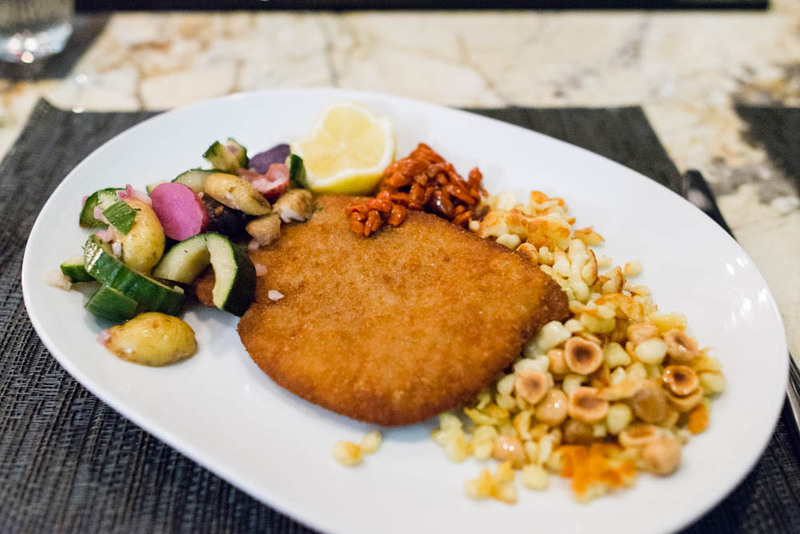 For a taste of German cuisine, we made sure to place an order for the duck schnitzel. Served with quark spaetzle, hazelnuts, cucumber salad and stewed wolfberries, this was complete meal all on its own. I love the modern take on the traditional German/Austrian dish and while I am still unsure what wolfberries are, they imparted a lovely sweetness on the crispy crunchy duck schnitzel and tart vinegary cucumber salad. Ending the meal on a sweet note with what else? 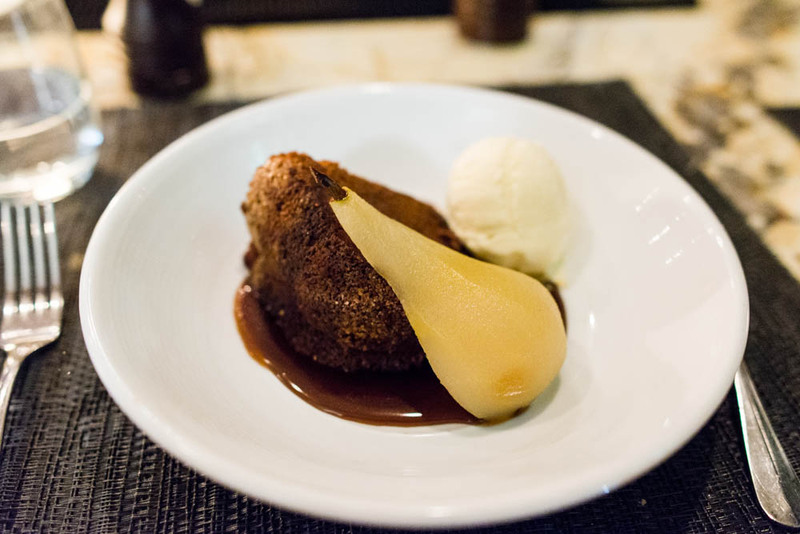 A slice of the moist and flavorful ginger stout cake served with a riesling poached pear and a scoop of honey ice cream. I carefully constructed each bite to make sure to include a little bite of each component, especially that smooth honey ice cream with just a hint of floral note.